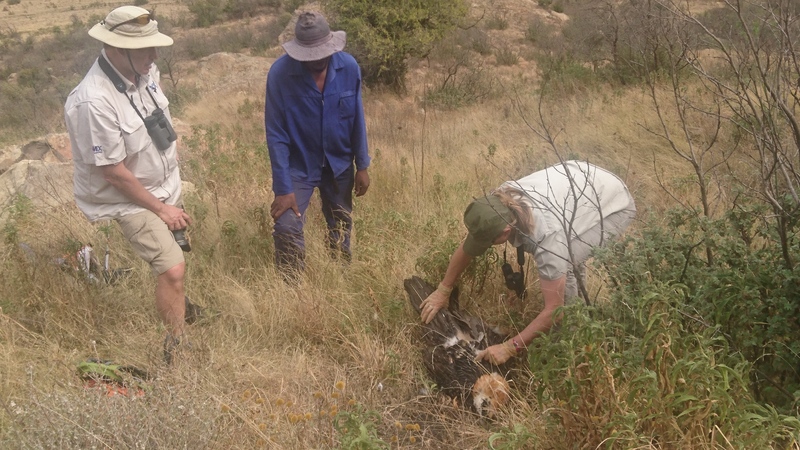 Please find attached (Click here) the movements of our Bearded Vultures; Jeremia, Pharaoh, InkosiYeentaka, Lehlwa, Mac, Camo and Mollie and our Cape Vulture; Bennie for the past week. Unfortunately no movements for Kloutjie from now on. We found him dead on a farm in the north-eastern Free State last week (see photo). Thanks to David Weaver and Ben Hoffman for their assistance. Kloutjie was fitted with a transmitter in 2012 as a one year old and would have started breeding in the next couple of years. 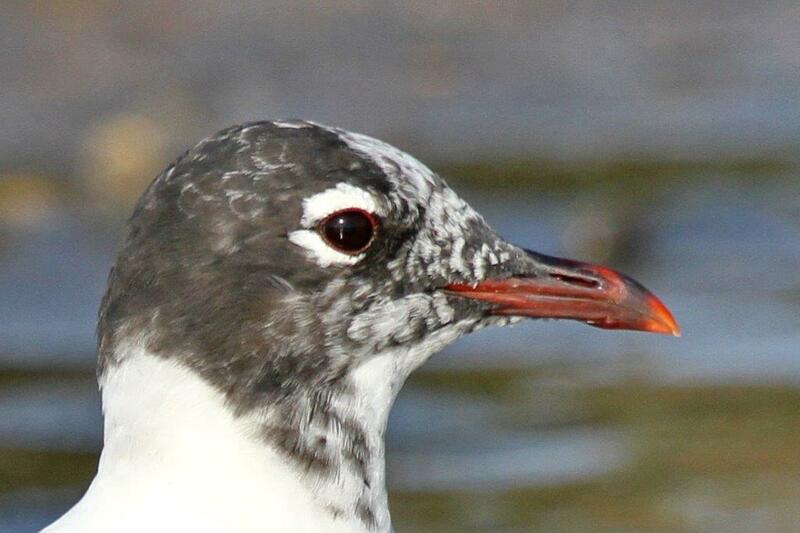 To lose a “nearly” adult bird is a great loss to the population. On a more positive note, the Rhino Peak Challenge will once again be taking place on World Rhino Day (22 September). This Challenge raises funds for the Rhino and Bearded Vulture and in 2016 raised over R150 000 for the Bearded Vulture Breeding Programme. 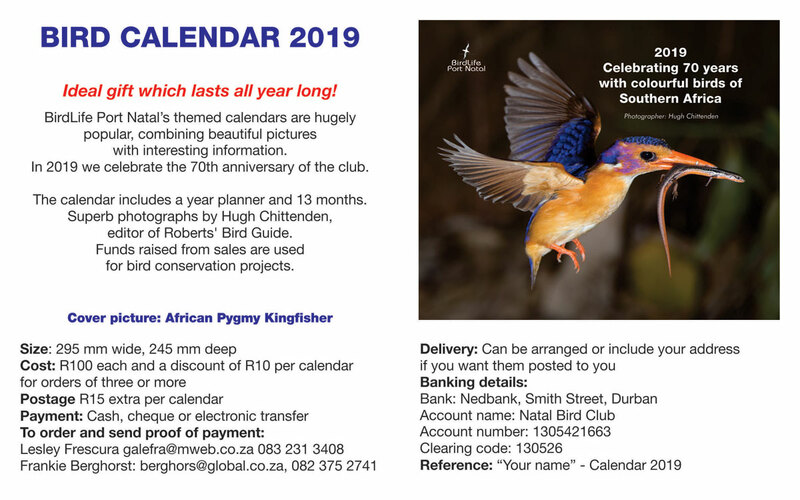 A big thank you to those that contributed last year; with the assistance of these funds we were able to collect four (second) eggs from the wild this year and successfully hatch three chicks at the African Birds of Prey Sanctuary. For more information please see http://www.rhinopeakchallenge.co.za/participants/?yearopt=2017. If you would like to pledge your support, scroll down to Influential People, Sonja Krüger. This entry was posted in Home, Posts and tagged Cape and Bearded Vulture tracks. Bookmark the permalink.